Here at Langstone Cliff Hotel in Devon, we have some incredible staff that have been with us for a number of years. The hotel would not run as smoothly without our amazing team, and we’d like you to get to know them! Whenever you go out of your way to make someone’s stay that little bit of extra special, it is great to get a personal thank you. We recently helped someone propose to their girlfriend by decorating the room – to see their happiness was lovely. With so many of our guest returning time and time again, there is always a lovely atmosphere between guests and staff, making it a very nice place to work. Our loyalty weekends, welcoming back our regular guests who are more like friends and having the pleasure of spending the whole weekend making sure they are well looked after. Performing in amateur dramatic musicals and pantomimes and spending time with family and friends. Sarah and the rest of the team look forward to welcoming you to one of the friendliest hotels and places to eat in Devon. 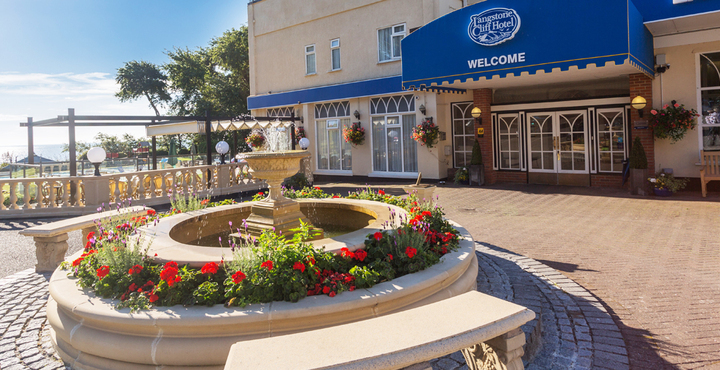 If you’d like the chance to meet Sarah, book yourself a stay here at the Langstone Cliff Hotel by calling us on 01626 221329 or contacting us here.